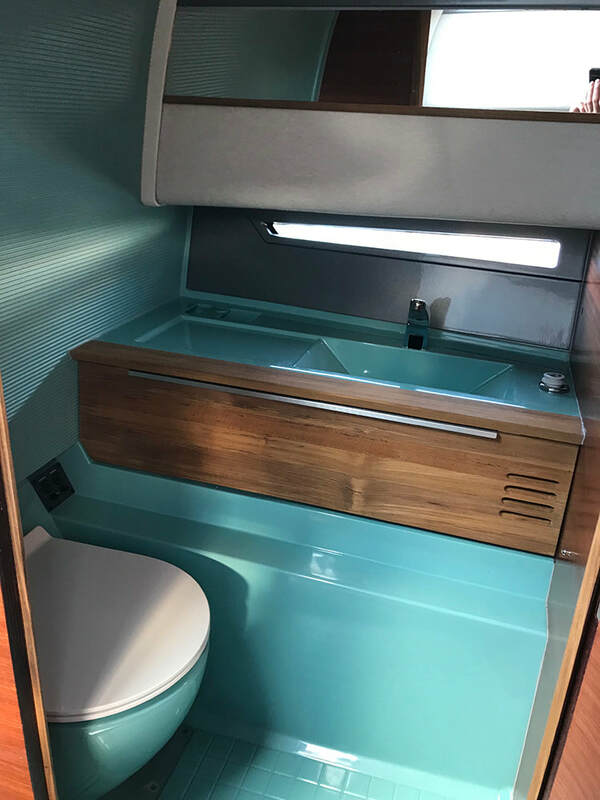 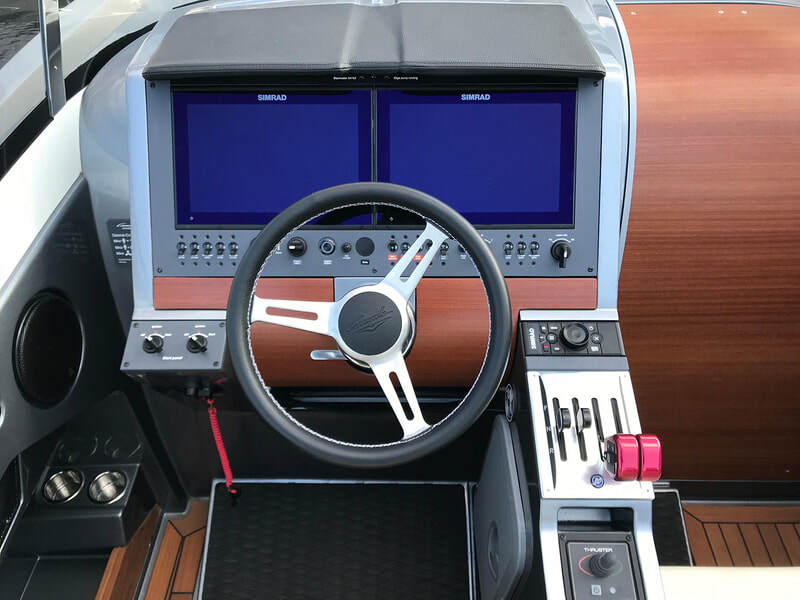 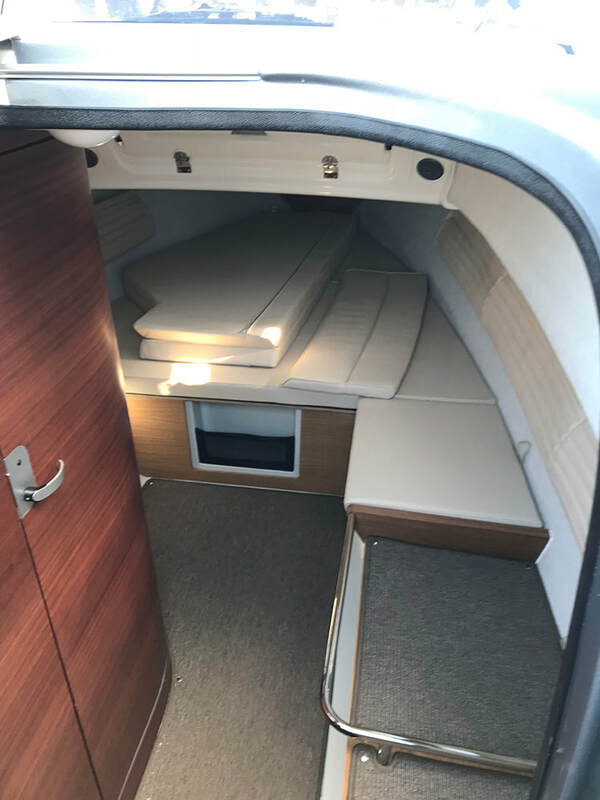 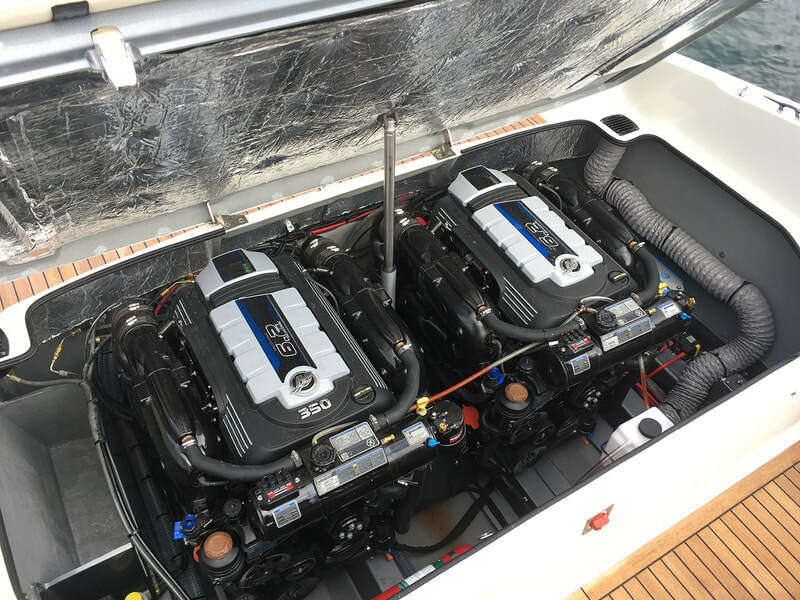 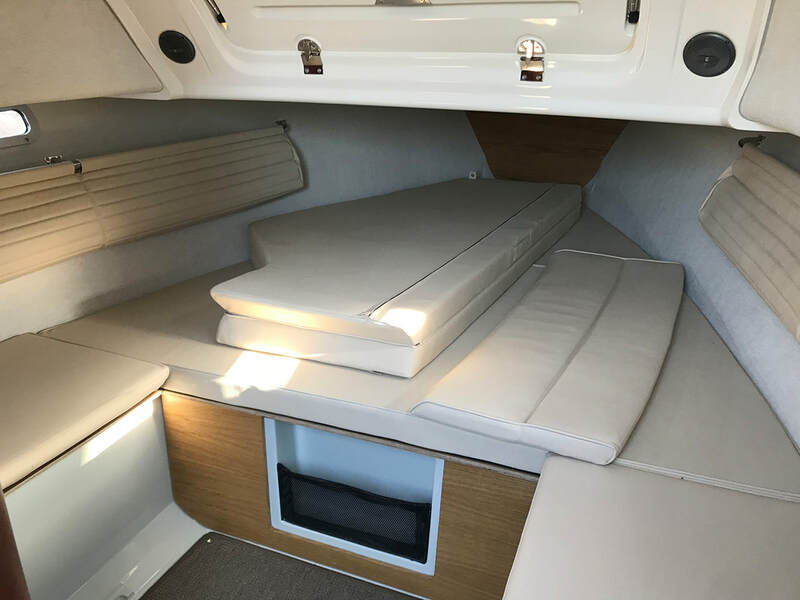 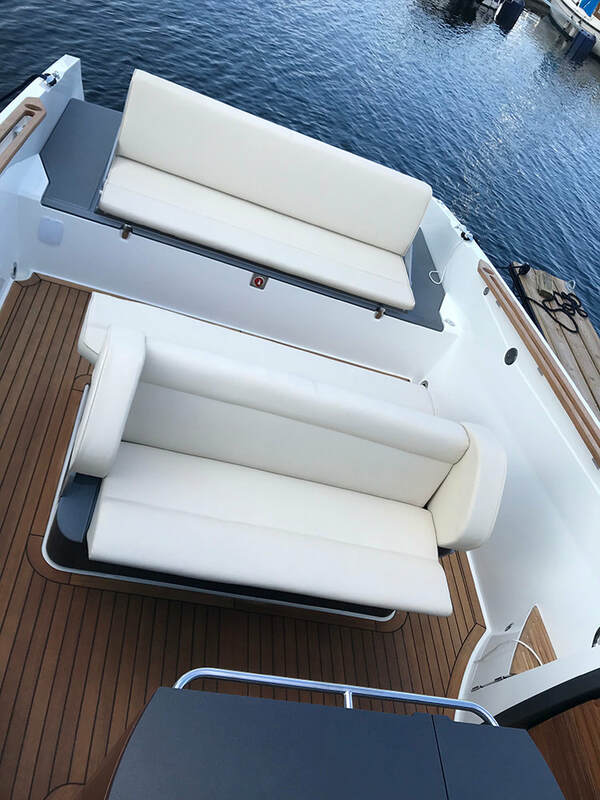 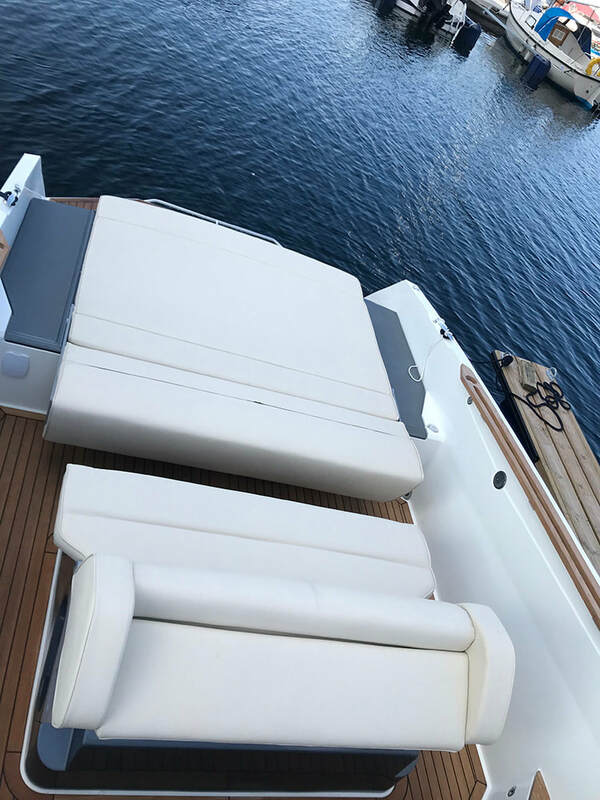 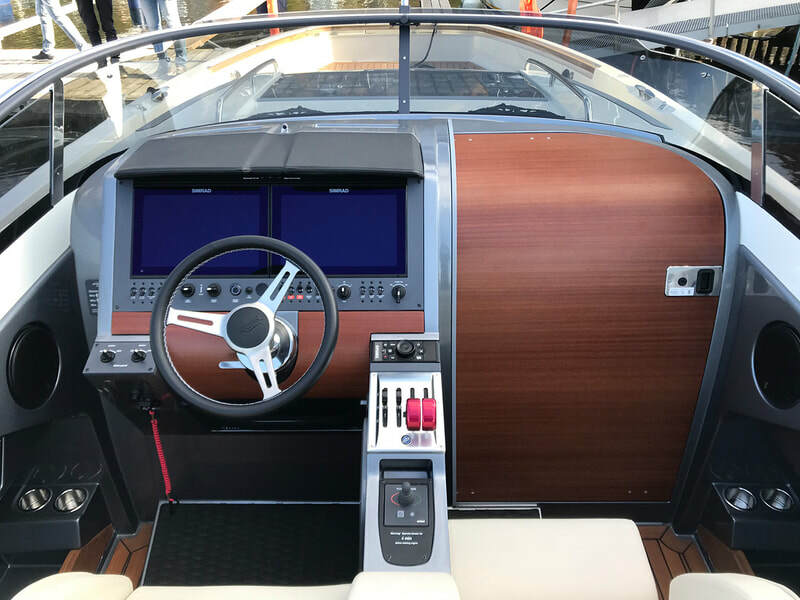 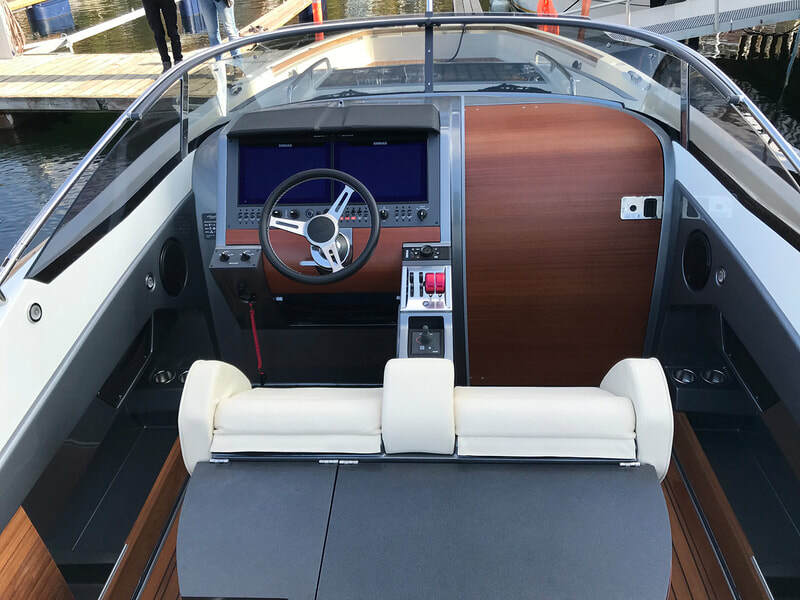 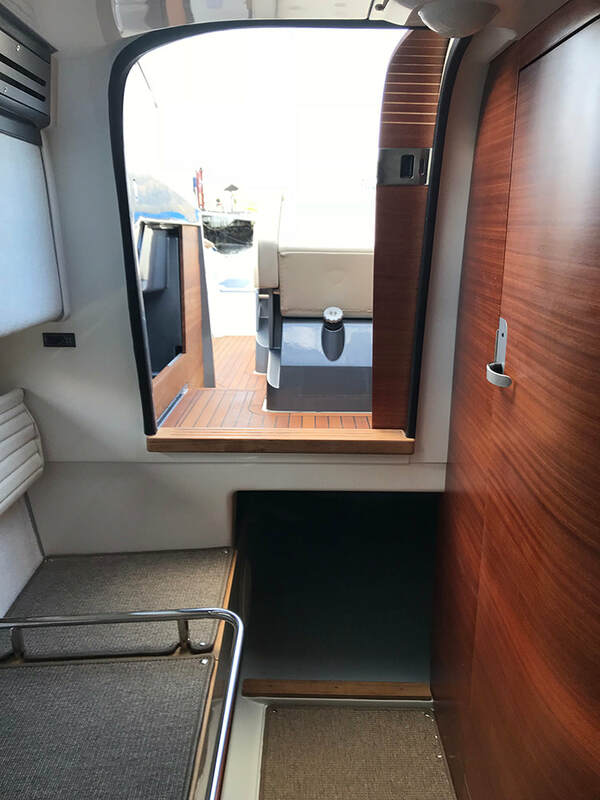 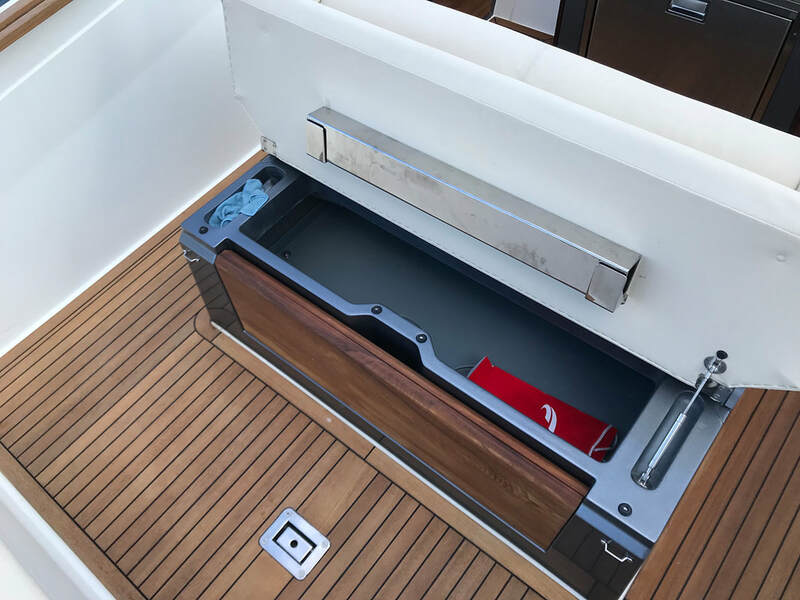 Standard equipment includes; 2 x 12" Simrad chart plotter/echo sounder, inside and outside shower, integrated carbon toilet, automatic tap, harbor covers, electric windlass and bow thruster. 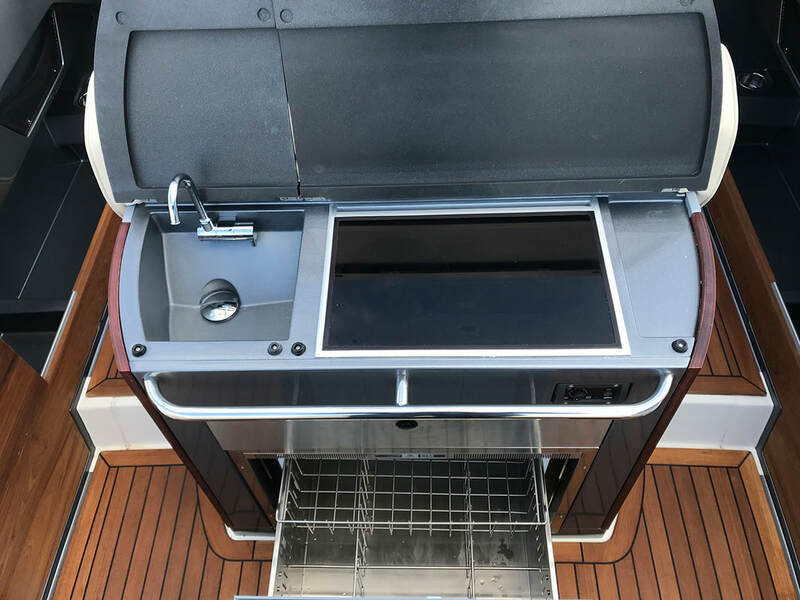 Also standard is a wet-bar/galley "island" with sink, 70 L drawer refrigerator and Wallas double ceramic stove. 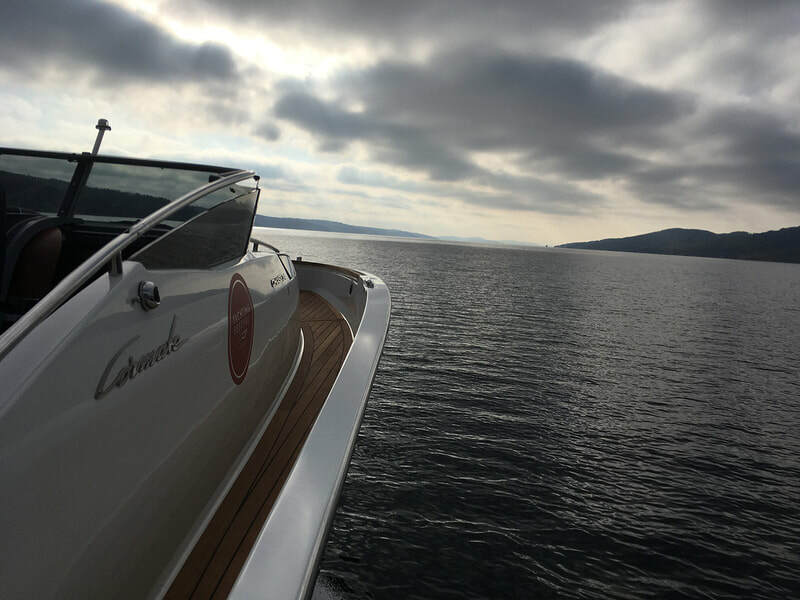 To save weight it's no separate water heater, but electronically controlled/selected water temperature. 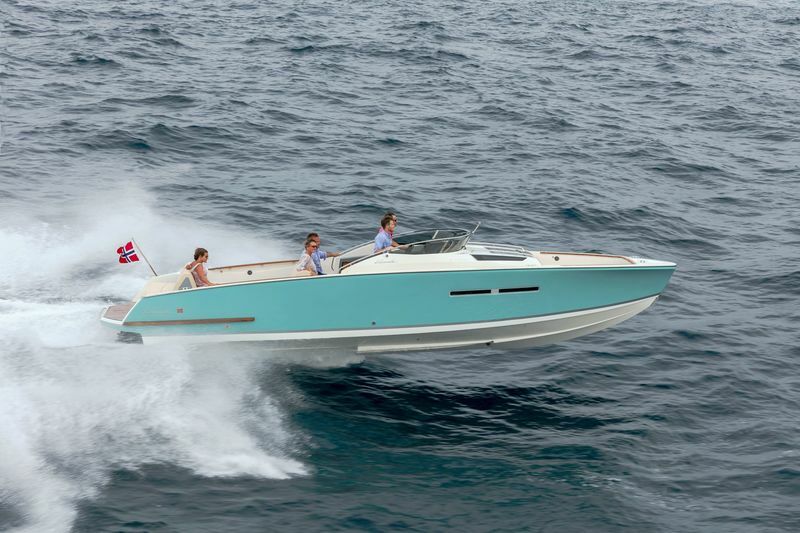 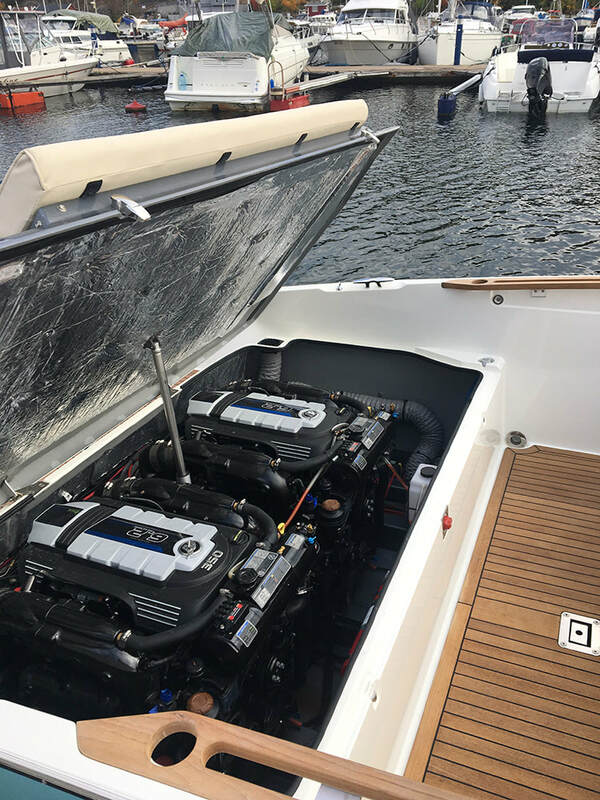 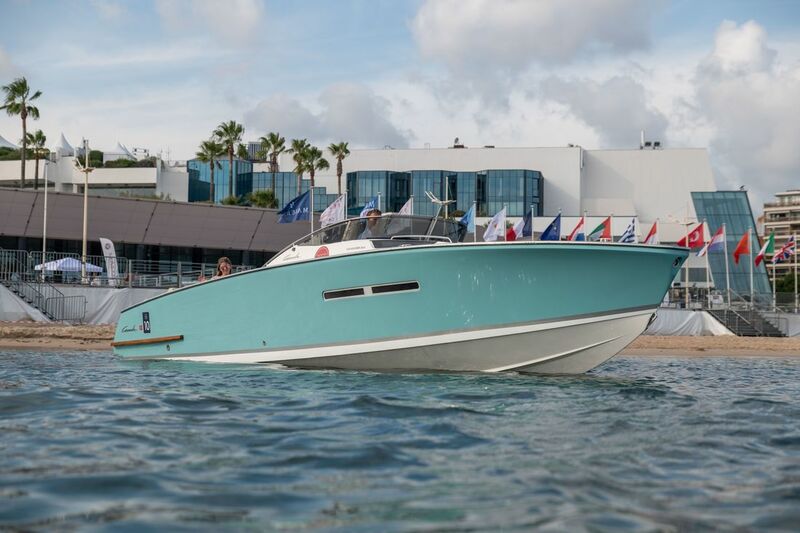 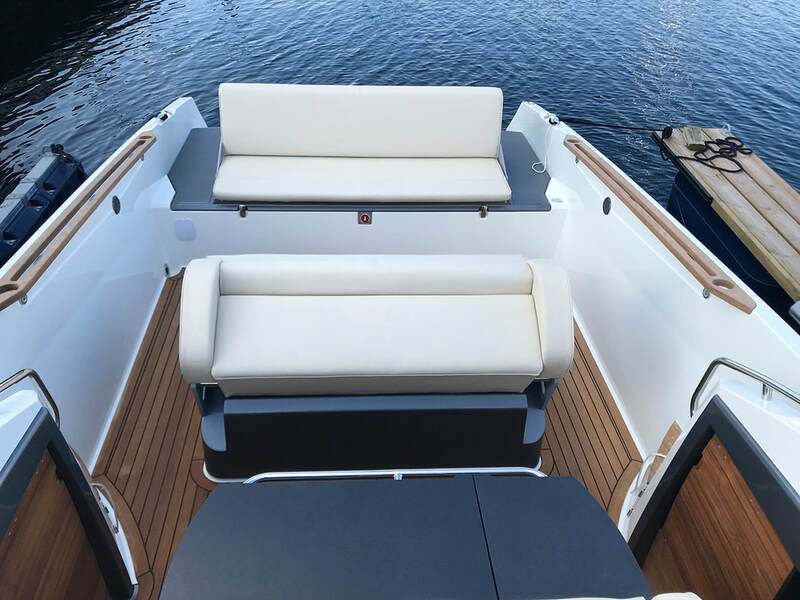 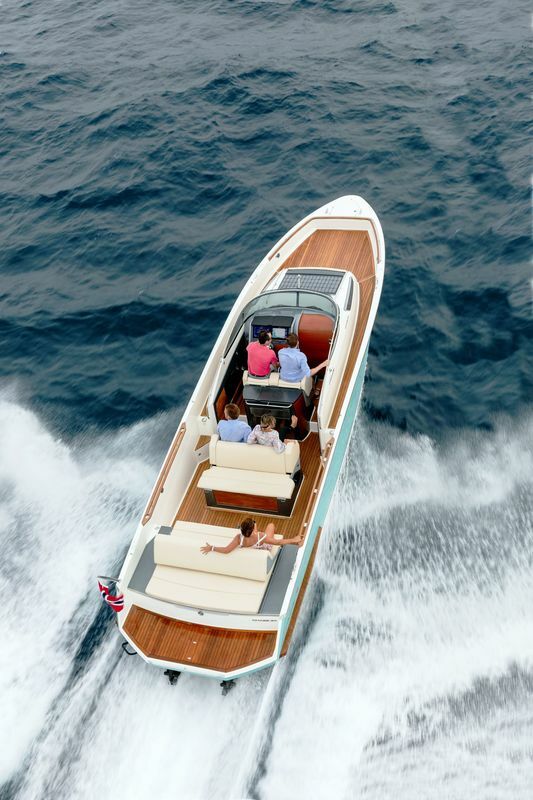 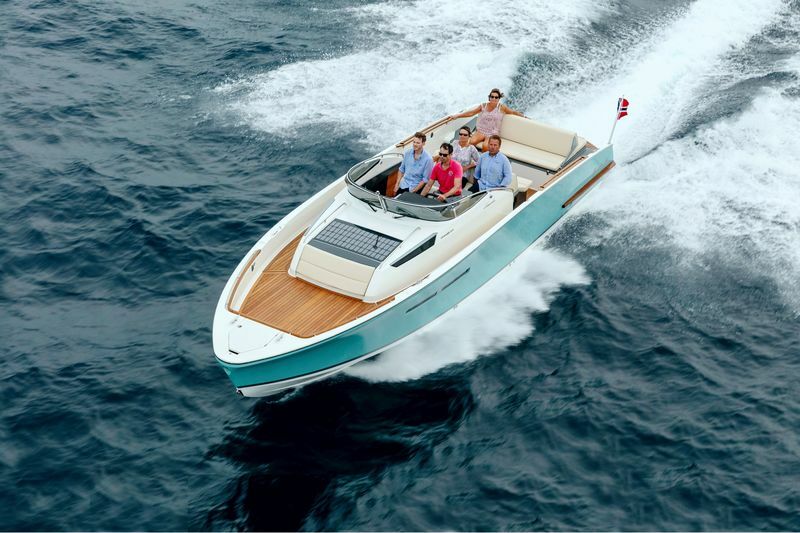 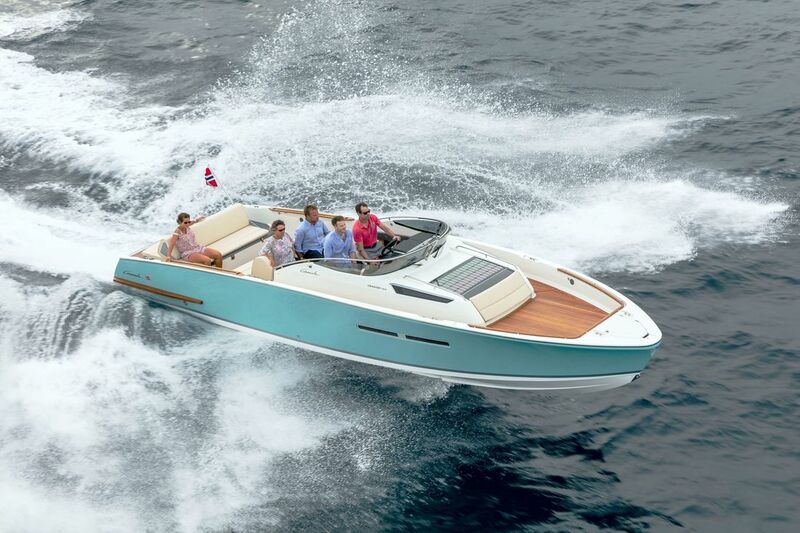 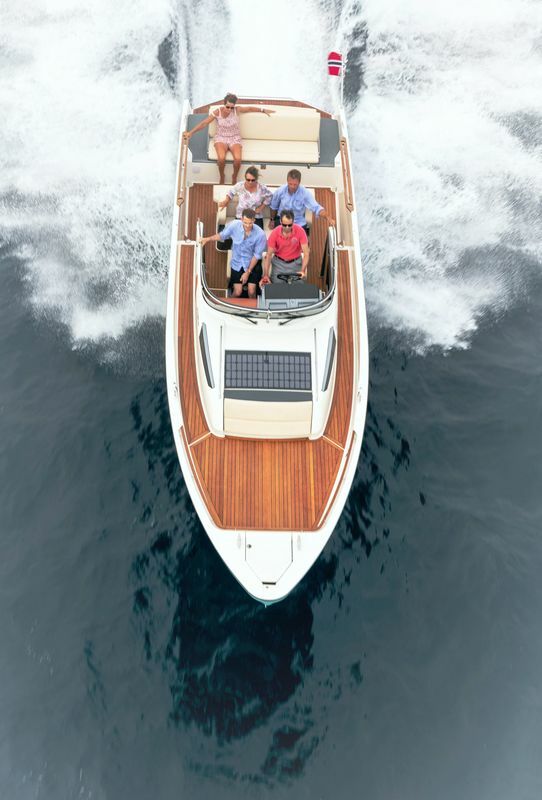 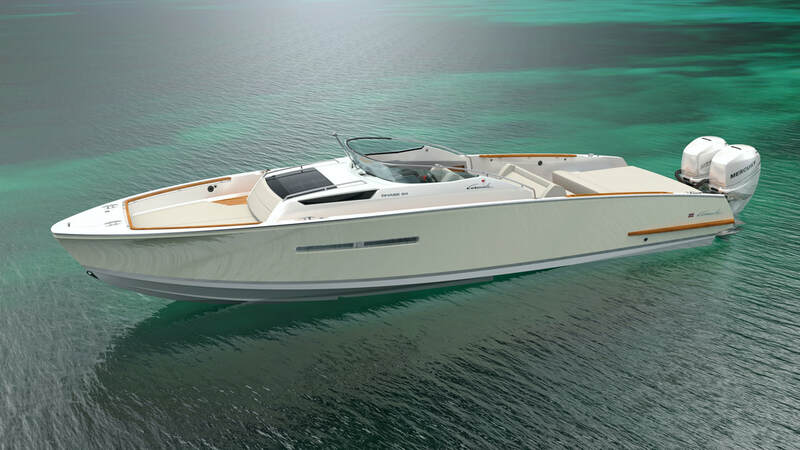 The Chase 34 can also be delivered with; 100 W solar panel (no need for cable charging), digital antifouling system (can be driven by solar panel), joystick maneuvering with sky hook (on twin engine boats), full or half canopy/sprayhood and bimini top.